A chromatic palette that draws inspiration from the botanic world lends an air of refinement to Opera Contemporary furniture pieces; the green color – in different shades – is the undisputed protagonist of the collections by the Como-based brand, exerting a relaxing and invigorating effect on the psyche and boosting creativity and innovation. Gentle lines and sinuous profiles converge in the Callas armchair, an elegant proposal featuring a solid wood structure – fully engineered and finished by hand – that reflects the technological skills of the brand and recall the refined essentiality of Scandinavian design. 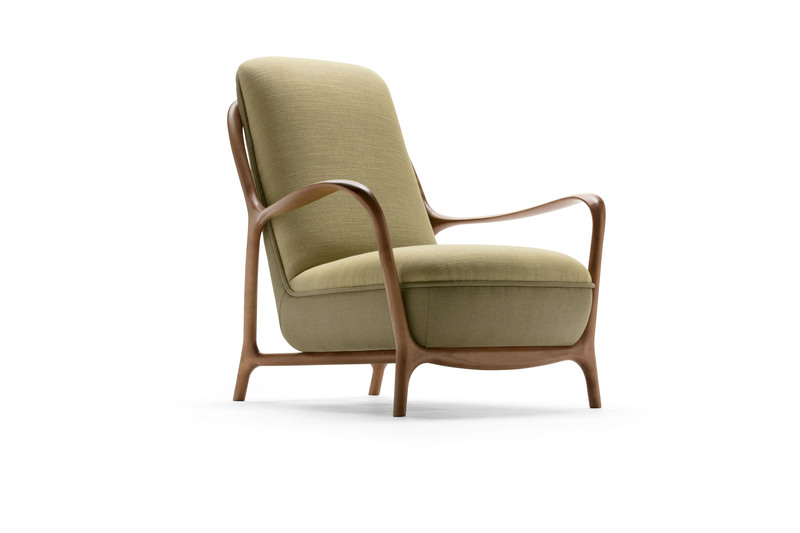 The cozy upholstered seat boasts a subtle olive-green shade that enhances the piece’s contemporary charm. 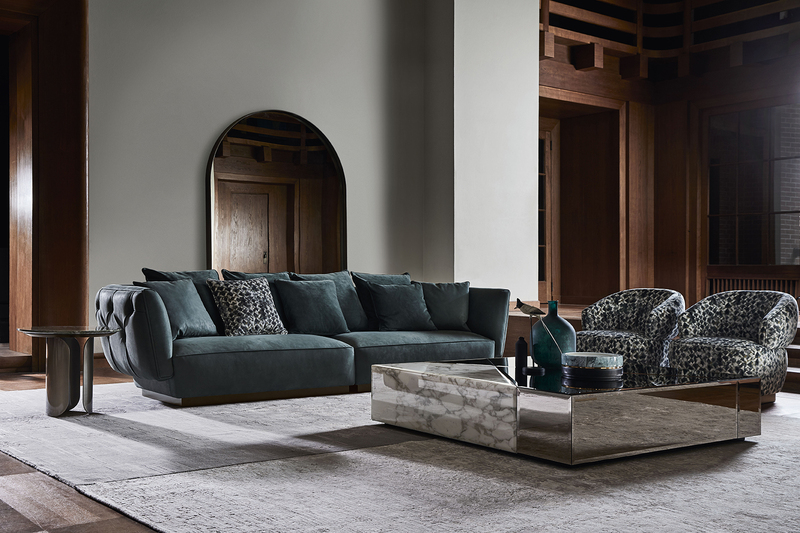 Distinguished by soft upholstery and compact proportions, the Simon sofa features an appealing design adorned by the deep-button upholstery technique that envelops the external side of the backrest, gently embracing the large seats. 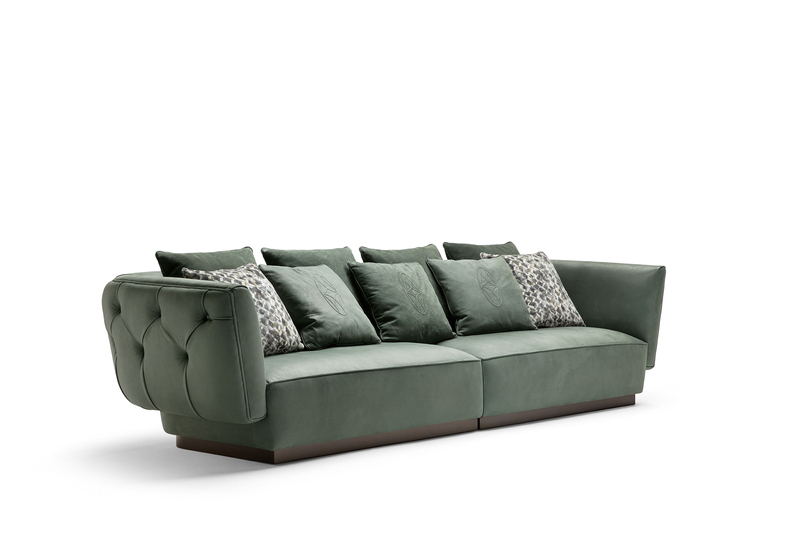 The leather upholstery, on the other hand, is illuminated by an intense emerald green nuance that highlights the essential traits of the sofa. Finally Vertigo, a fascinating bed of strong appeal that takes pride of place in the sleeping area. A sophisticated concentric pattern created by lavish deep-button upholstery decorates the large headboard. 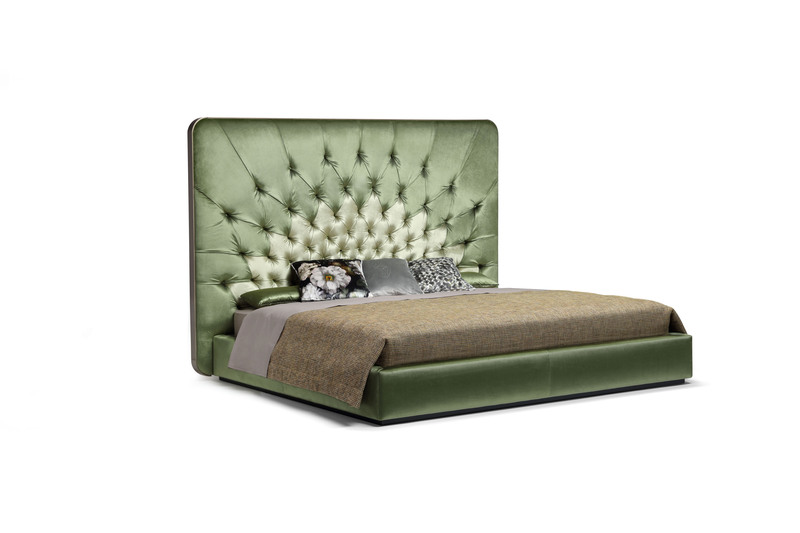 The rigorous aesthetics – which continue in the padded bed frame – is softened by luxurious sage green tones.